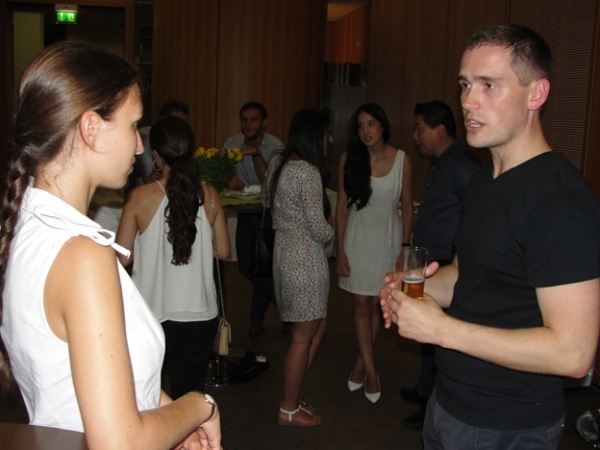 The Cologne Academies 2015 started out with a Welcome Reception on Sunday evening where everyone could get together in a relaxed atmosphere. 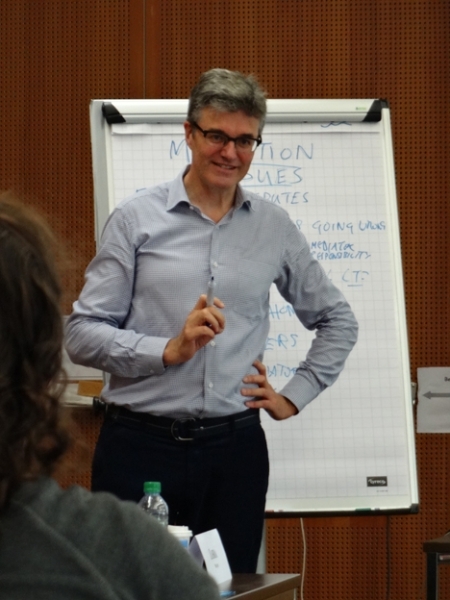 On the first day of the 10th Cologne Mediation Academy the focus was on Negotiation. We had the honour of Professor Ian Macduff taking our workshop. Before delving into the details as to the field of negotiation he brought our attention to the relationship between negotiations and mediations. We then explored the complexities associated with a negotiation, ranging from the qualities of a good negotiator to the different dynamics and processes involved in one. In doing this we not only gained theoretical knowledge but along the way Professor Macduff allowed us to implement the strategies and techniques we were talking about practically, in a range of exercises. This allowed us to really grasp the intricacies involved in a negotiation, brought to our attention the difficulties one can encounter and provided ways to overcome these. We also applied this new knowledge to a case study specifically designed and given to us for the Academy. Not only did the case study show us what kind of situation we could be confronted with in reality but it allowed us to work through each aspect of a negotiation and apply it to a set of facts. Throughout the day in covering the extensive range of content Professor Macduff also shared a range of his very own experiences from his successful career. These stories along with a range of video content really revealed not only the importance of a negotiation but especially its capabilities and potential effectiveness in comparison to methods ofother dispute resolution. Following the day’s events we were invited on a guided tour of the beautiful city of Cologne that night, allowing us to meet other students and workshop organisers of both Academies, and have a relaxing night together socialising at the Malzmühle brewery. Tuesday’s focus was on mediation. Professor Ian Macduff gave an introduction including the issues and goals of mediation. In addition, we learned how to structure the mediation process with the aid of video clips which showed us the difficulties arising from the different positions of the parties. The lecture was accompanied by group work and Professor Macduff’s own experiences. We spent the evening on a marvellous boat trip on the river Rhine with a tasty dinner buffet and pleasant atmosphere. On Wednesday, the workshop leader was London based barrister David Owen. He gave the participants a valuable insight into the practice of mediation in England and made the legal notions understandable by bringing real-life examples from his own practice. He covered a variety of topics in a manner that was complementary to the previous days of training, and gave us an opportunity to look at critical issues from a different point of view. David Owen elaborated on the importance of information gathering and the role of a mediator in negotiation. 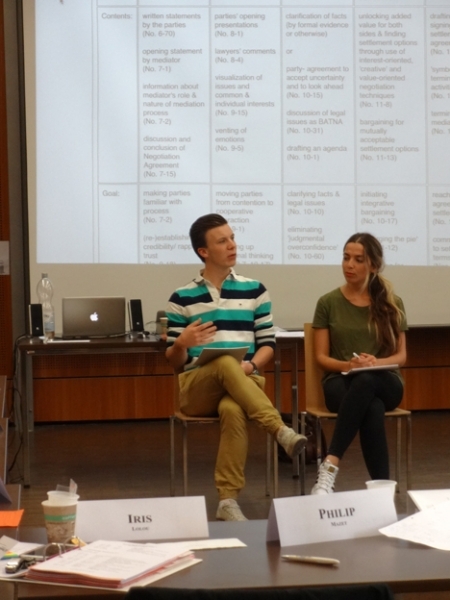 Together with the general framework of the mediation process, he explained how important the mediator’s personality and his/her “soft skills” were, which meant the ability of a mediator to manage the entire process and control the power imbalance. He also directed our attention to the role of the lawyers and parties to the process, and explained to us the concept of “the negotiation dance”, and how to close the final gap. He used different technics of explaining various topics, including video analysis and interactive exercises where each of us were encouraged to participate and raise questions. 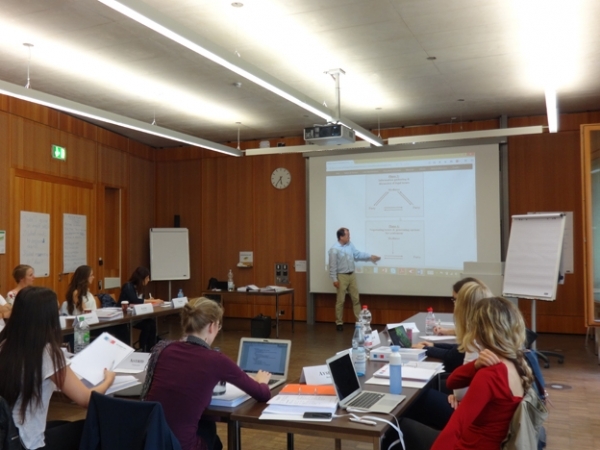 On the last day of this year’s Academy Professor Berger gave us an insight into “SMART” settlement terms, which should be drafted and signed right after the successful mediation. This way the agreement is not only legally enforceable but also serves as a “symbolic conflict termination act”. Later on we explored the reasons and consequences of failing at mediation. After the lunch break we had a joint session with the participants of the Arbitration Academy, in which Professor Berger pointed out the differences between negotiation, mediation, and arbitration in outcome and in process. Furthermore he elaborated on the possibility to combine these three resolution mechanisms by contractual means in order to establish a tailor made dispute resolution scenario. 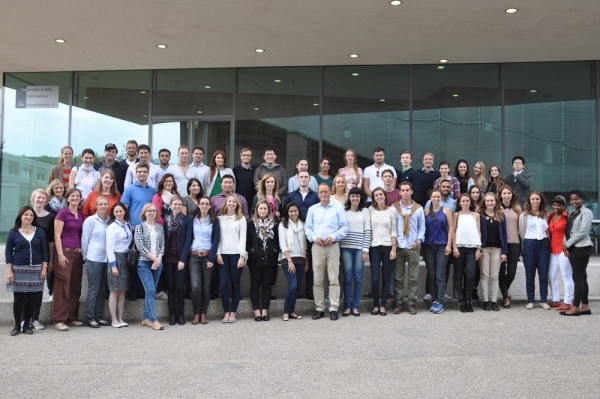 As a conclusion of this most enjoyable and stimulating week, Professor Berger presented us with our certificates. 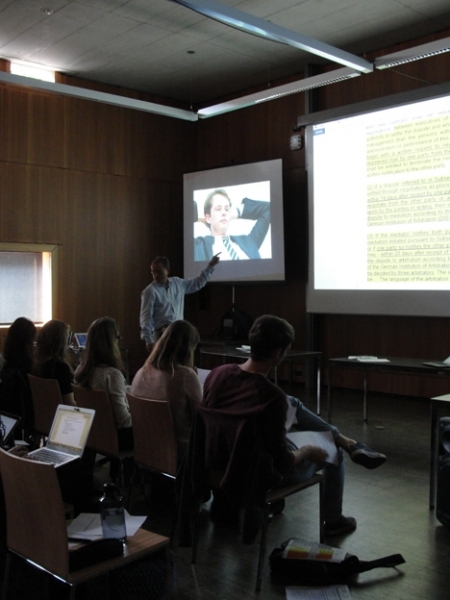 All in all, the daily sessions with distinguished mediators such as Professor Ian Macduff, David Owen QC, and Professor Klaus Peter Berger were educating as well as entertaining due to their good mixture of lecture, discussion, practical exercise, and video analyses. 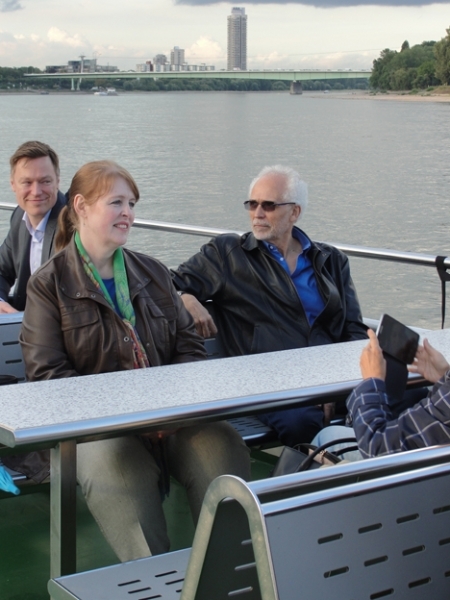 The evening programme – as everything perfectly well organized by the CENTRAL team – consisted of a guided city tour of Cologne (which was enriching also for Cologne residents), of a brewery visit and of a boat tour on the river Rhine with an excellent buffet. It served particularly well to get in contact and form friendships with the other participants from all around the world. The Academy was definitely a most memorable experience due to its high quality of teaching materials and used techniques, experienced and renowned professors and the whole supporting team who made it possible. Thank you for this great experience!